This is the book of the month and can easily be the book of the year and this decade!! I heard a lot about the book and i had never met Arese Ugwu. I ordered it online, it took sometime to get to me because of a slight hiccup, i sent her an email and her response was the first pleasant surprise. She apologised so profusely i regretted complaining and i got my book immediately. I decided to just scroll through and 2 hours later i was not able to put the book down. I read it till i finished it in one seating. The book explains very complex financial truths about our spending habits, our true worth, our very many mistakes in trying to keep up but in very simple terms using characters we can relate to in our everyday lives. I thought it was for the younger generation but when i read it i realised i could easily be any of the characters in the book. It also talks about relationships and things to look out for when considering settling down. Needless to say i ordered more copies and it’s currently my best gift suggestion. Guys too stand a lot to gain by reading this book. 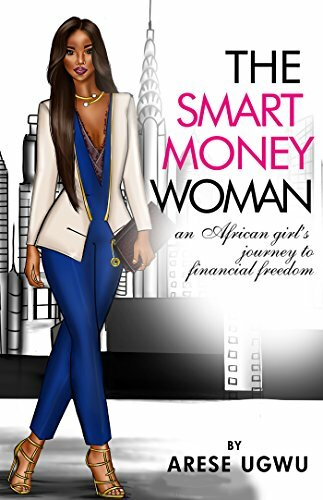 ‘With her best friends Tami (the flighty fashion designer), Lara (the tough oil and gas executive), Adesuwa (the conservative lawyer), and Ladun (the fabulous housewife), Zuri grows a little, learns a lot and navigates her way to making better financial decisions and building wealth. I know there is a reason I stumbled on your blog today.